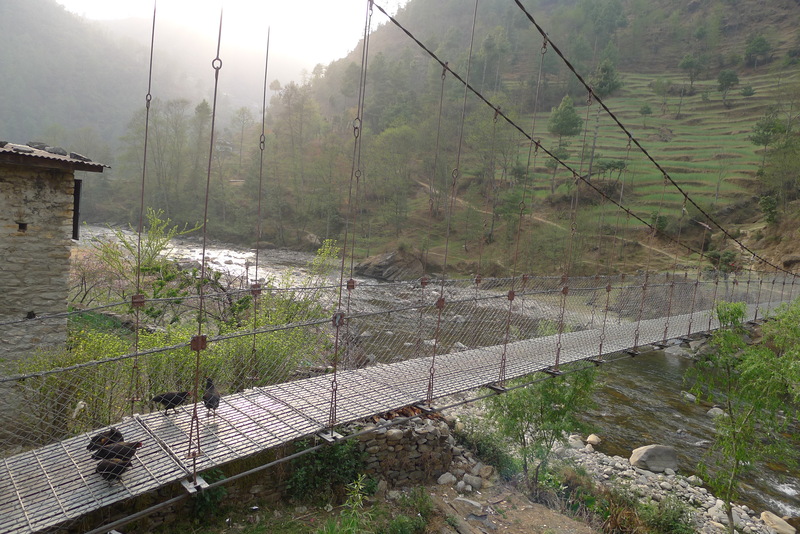 Nepal: Why did the Chickens Cross the Bridge? Why did the chickens cross the bridge? I think it has something to do with the political demonstration going on in the square. I didn’t want to be in the middle of that either!